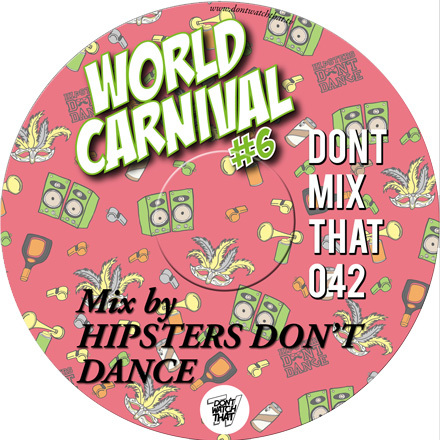 It’s that time again, carnival is nearly upon us and that means time for another installment of our World Carnival mix series. The latest addition is number 6 in the series and was kindly hosted by Don’t Watch That as a carnival edition of their Don’t Mix That series. Get this through your speakers and head over to Don’t Watch That to read a carnival themed Q&A with us. As per the other mixes we have featured tunes we have been bumping at HDD HQ and at our monthly parties, spanning soca, dancehall, afropop and club music. It will definitely get you in the mood for Notting Hill Carnival and for our World Carnival party this Sunday.